A 3 bedroom Mid Terrace family home situated in the popular Abbotsbury area of Newton Abbot within walking distance of primary and secondary schools, Newton Abbot leisure centre, in addition to the town centre with its further range of facilities and amenities including shops, doctors, dentists, parks, and both bus and rail services serving nearby towns cities and villages. The accommodation comprises entrance hall, lounge, separate dining room, kitchen, 3 bedrooms and bathroom on the first floor and an attic room on the 2nd floor. The property has an enclosed rear courtyard garden. Further benefits include gas central heating and uPVC double glazing. The property has permit parking to the front. 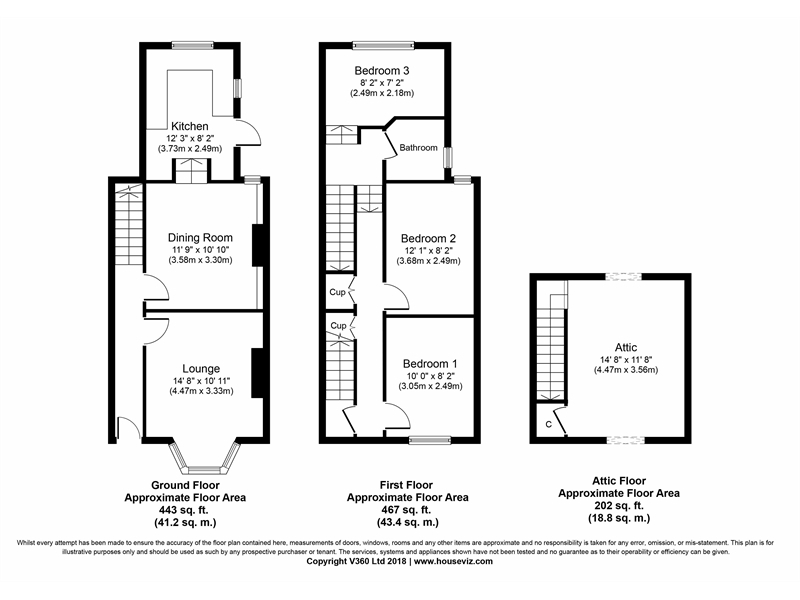 An internal viewing is highly recommended if you are seeking a property in a convenient, central location.